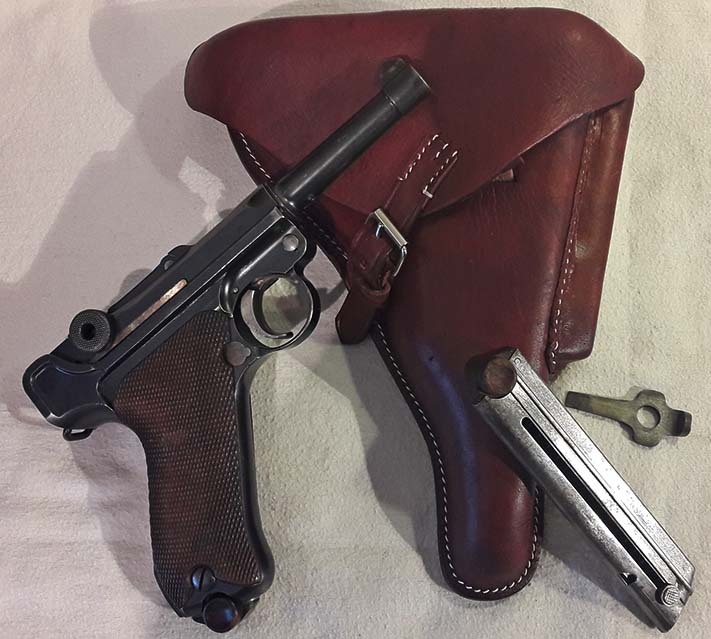 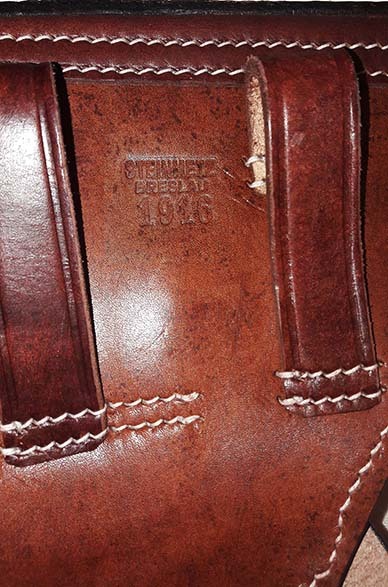 1916 Luger Holster stamped "Steinmetz" Breslau . 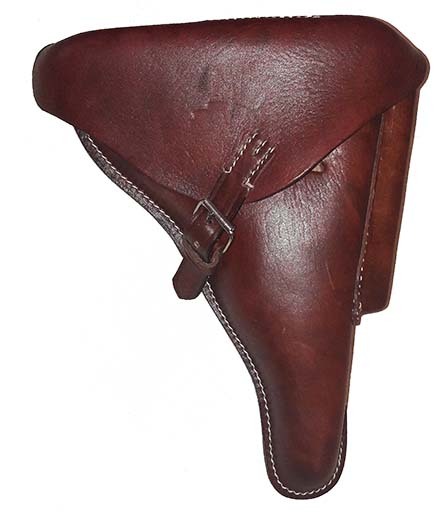 A lovely rich Chestnut red/brown color leather holster with white waxed stitching. 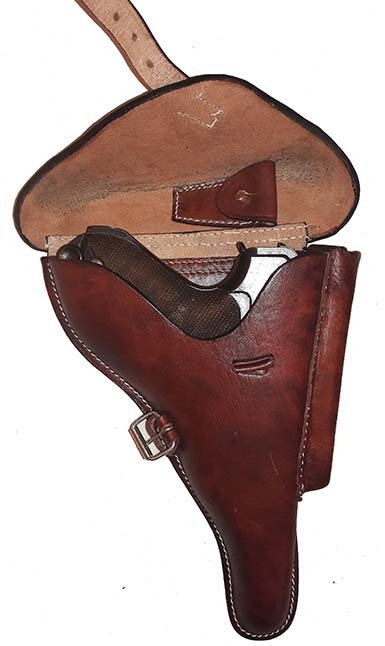 - Holster supplied with Luger Stripping/Loading Tool. 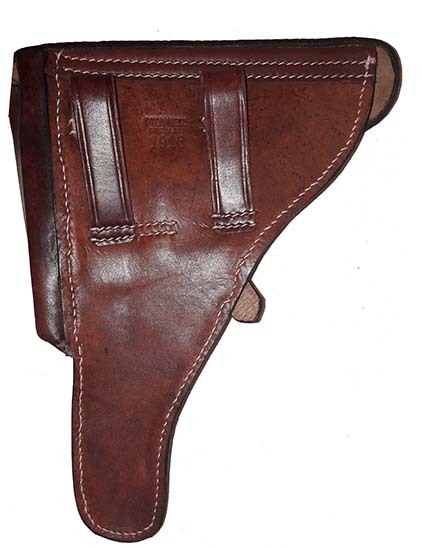 A fabulous authentic looking holster to dress up your early Luger pistol. 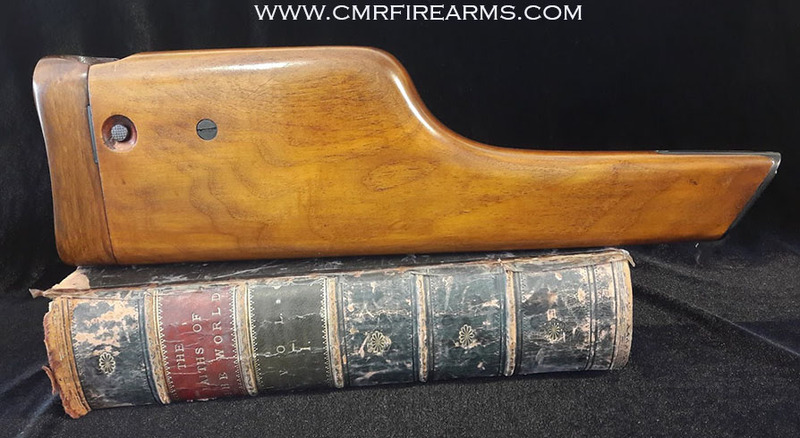 Note: Pistol & Accessories not included shown for display only.